If you are thinking about buying a home, it’s a good idea to know your credit score and understand how that score will affect your interest rate and payments. You can take the right steps now to improve your credit score, so you have more options when the time comes. Your credit score is more than just a reflection of your payment history. It is made up of five different variables and each of them has a different weight on how it affects your score. Payment History (35 percent of your overall score)—Account payment history, which includes any late or past due payments. Amounts Owed (30 percent of your overall score)—This is how much you owe on your accounts compared to your credit limits. A debt to credit limit ratio helps determine if you are maxed out. The amount of credit you have available on accounts is heavily weighted. Length of Credit History (15 percent of your overall score)—How long you have had accounts open and how long you have been using and paying off credit. New Credit (10 percent of your overall score)—Your pursuit of new credit, including credit inquiries and number of new accounts. Types of Credit Used (10 percent of your overall score)—How many open accounts you have as well as the different types, such as revolving cards and installment plans. Improving your credit score is an ongoing process you can do by adopting recommended practices from experts. First, check your score and obtain a copy of the report. Look over it for any errors. If you notice a discrepancy, you can dispute it with the major credit bureaus. Start with the most weighted item and work on making payments on time. Since payment history accounts for 35% of your score, it will make a big difference to start having on-time payment history. Set up automatic payments on accounts that will allow it. On accounts that don’t have automatic payments, set an alarm on your calendar or phone to remind you to log in and pay. Work down the list on the next most weighted item with amounts owed and reduce the amount that you owe on outstanding debts. Come up with a realistic goal and payment plan that allows you to put money toward outstanding balances. 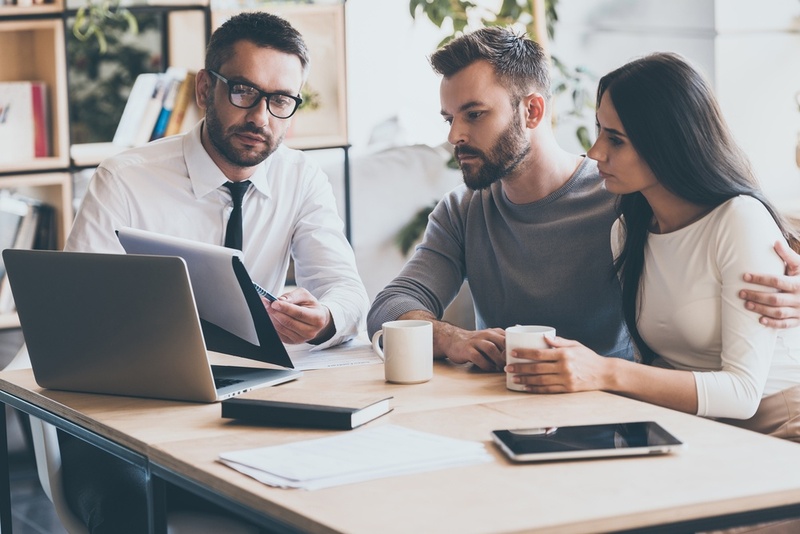 Various state and federal government programs are available to fit different financial situations and make the dream of homeownership possible for Americans. This means that a challenged credit score is not necessarily a barrier to homeownership. If you qualify for a government home loan, the benefits often include attractive interest rates, low down payment options, more lenient qualifying guidelines, and even assistance with down payments and closing costs. Your credit score will help determine your interest rate and monthly payment when you are buying a home. The higher the credit score, the lower interest rate you will likely get. You don’t need perfect credit to qualify for a home loan. Start the process by finding out what your score is and then talk with one of our loan advisors to help you figure out the next steps.